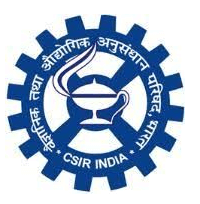 CLRI Recruitment 2019 – CSIR-Central Leather Research Institute (CLRI), Chennai notification for posts of Technical Officer and Technical Assistants in various disciplines. The detailed eligibility criteria and venue details are given below. Technical Officer: B.E/B.Tech in Electrical and Electronics Engineering/Electrical Engineering or its equivalent with 55% marks from a recognized Institute /Organization. 1st Class Bachelor of Physiotherapy with 01 year full time Professional qualification or 01 year experience in the relevant discipline from a recognized Institute/ Organization. 1st Class Diploma in Leather Technology of at least 3 years full time duration or at least 2 years full time duration in case of lateral admission in Diploma courses or its equivalent with experience of 02 years in the relevant area/field. Technical Officer – The selection would be based on the performance in the Interview. Mode of Examination: Objective Type Multiple Choice Examination. The questions will be set both in English & Hindi except the questions on English Language. How to apply CLRI Recruitment for Technical Officer/Technical Asst? All interested and eligible candidates can send their duly filled applications along with required documents to the following postal address on or before 15 March 2019.